An Outfit Befitting The Occasion. I’m a fire wizard, so I need a cool outfit. Yes, I did log on just to play with transmogrification… SO WUT. 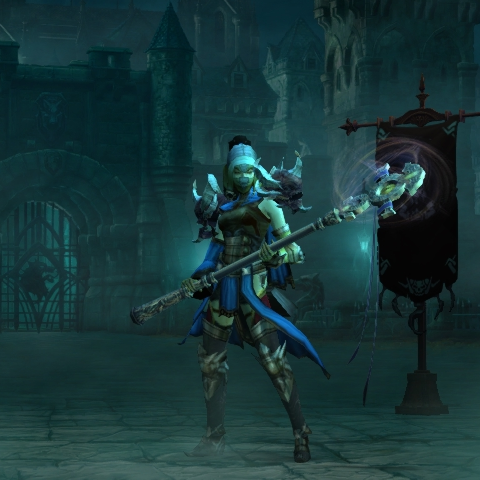 Since we’ve been playing Diablo together, we’ve actually been spending a lot of time boosting the others character. This is mainly as we had to create a second account to be able to play together and therefore, someone had to start from scratch (Mr B, mwhaha). We are quite noobish at this game and didn’t know any tips or tricks for boosting, so we thought we would share the best way we found, in case you didn’t know. This method of boosting exploits the massive xp gain from Torment 6, so you need to choose which option suits you below. We do level 1-40 in about an hour using this technique. 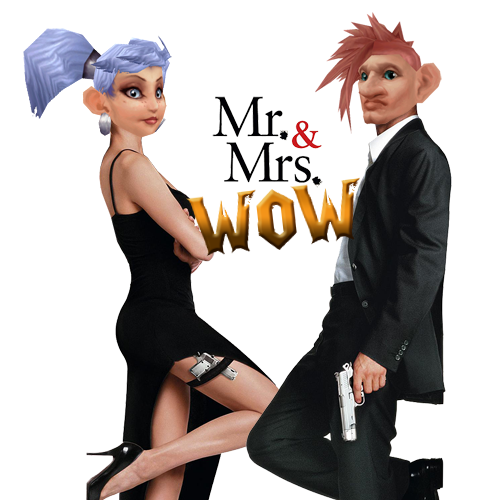 We also make about 1m gold in that time. It’s profitable for the booster, certainly! In the time I boosted Mr B from 1-65 I had also done about 7 Paragon levels too, as you get xp from the quest hand ins. It does slow down afterwards, but one rift just gave Mr B’s level 50 character 5 levels, so it’s not too bad at all! Then it’s easy! Simply create your new level 1 and start a game on Torment 6 and get your level 70 friend to join your game on that difficulty. They will simply run you through bounties and rifts and hey presto. 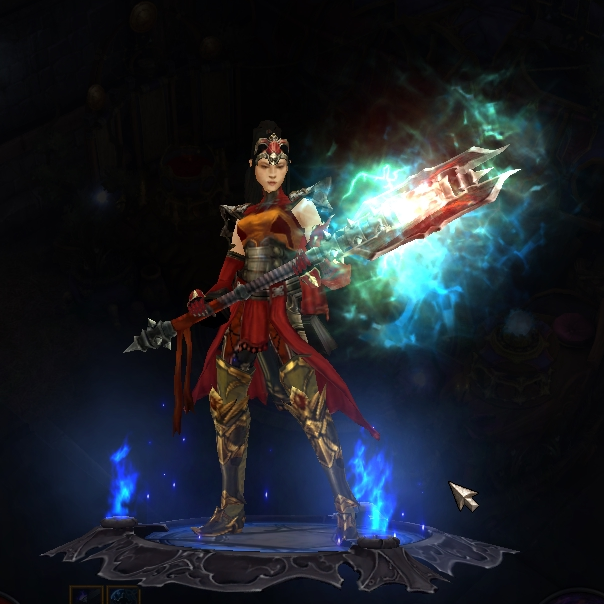 My newly dinged, badly geared Wizard can handle T6 bounties and rifts easily upto about level 60. I struggle then, as my DPS is so bad. Just remember, if you’re being boosted on T6 you will die a LOT, even keeping far enough back, some mobs like to teleport to you. They also have no aggro table, which isn’t helpful. Slightly more complex as you need Torment 6 on to get the full boost effect. Of course, you could do it on Master but you don’t get as much xp. Get the booster to create a level 1 of any kind, and start a T6 game with that character. NB: put aside a long stretch of time for this method – as soon as you leave party, this won’t work again. If, for example, you stopped at level 40, to use this method again you would have to find (or the booster have) a level 40 who already has a level 60 character to create the game for you to join. We hope this might be helpful to other people, let us know anyway! I’m quite proud of myself….! Last time we spoke, I was slogging my way through Diablo and the middle levels of my Wizard. I was enjoying it and going to bed far too late because I just..needed..to..get..to…the…next…checkpoint…! Anyway, yesterday I finally dinged 60! I’ve been working so hard to understand the game and the gear and my character, but I’m finding the grinding a little monotonous at the moment, which is why it’s taking me so long. I have been playing in the new Adventure Mode which has been pretty cool. I really like the idea of the bonuses and objectives – questing certainly gives the game a sense of purpose and feels less grindy. I’ve also been happy with the recently improved Legendary drop rate – it’s a pretty good sense of satisfaction when one drops! I have had some fun choosing the intricacies of my characters abilities – I miss that from WoW, putting in your own spec points. It’s fun trying different things. However, there are some bad points. 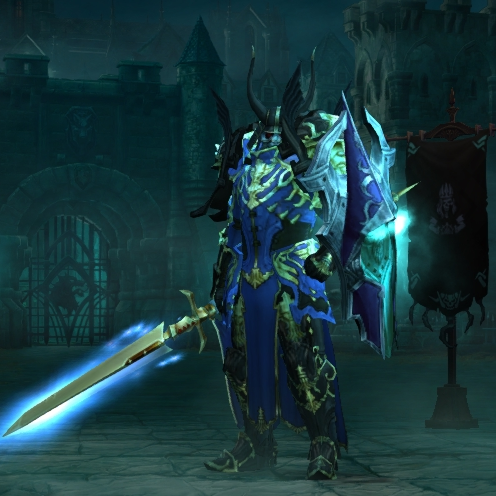 Firstly, the movement of Diablo feels really clunky and although I’ve logged a fair number of hours played (over 30!) I still can’t move that easily. I get stuck in the middle of mobs, even with movement on a key bind. Then there’s the whole clicking to pick up gear which is difficult when the boxes are so small and if you don’t get it exactly right, you move forward. I find the gear a bit tricky to understand with all the stats on it – so I’ve just gone for “if the shoe fits, wear it”. Yes, I totally had a sword for 5 levels as no staff dropped! :p Of course, the resetting of the map is really annoying. I understand why they do it, but when you’ve taken an hour to fully explore the area then get DC’d or have to pop out….. ugh, put me off playing last week. 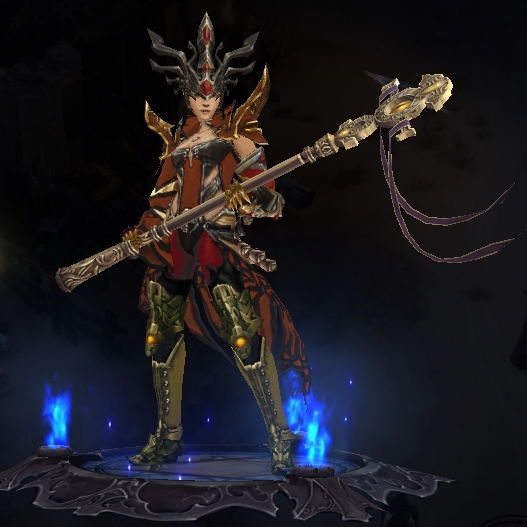 I have also recently started a Witch Doctor called Rafiki, who gains a level per mob at the moment with those Paragon points! The necessary evil of the random loot rolls for stats is a little bit frustrating, but there’s so much to do that you can’t get bored. I actually like that the map changes each time as this keeps you logging in. 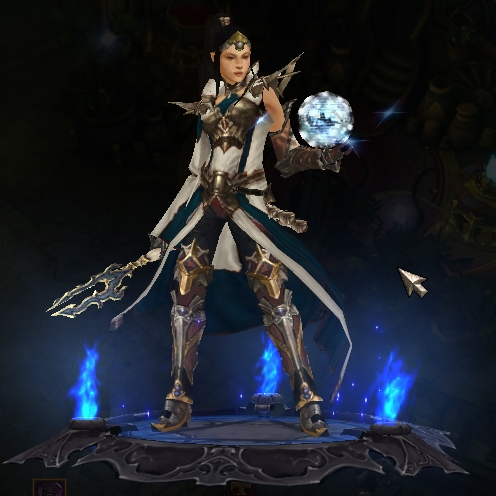 Transmogging is also pretty cool, I’ve been enjoying using that feature (as you can see!). Anyway, we’ll update again soon… if you fancy a game, let us know! So we caved and bought the Diablo expansion this week, for a bargain price I might add! Neither of us have a max level character – yet – but the allure of the Crusader and the Adventure Mode just proved too much! I’m hogging it at the moment, I’ve rolled a Crusader and as we’re speaking, I’m level 36. He looks beasty, huh? I haven’t had much time played as yet, but I thought I’d give a super quick overview thus far. Crusaders hit like bricks – you can pull so many mobs at once!! Not having more time to play. As I said, only level 36 so I’m really looking forward to looking at the new content the expansion offers. I’ll update as and when I get there… shouldn’t be too long! 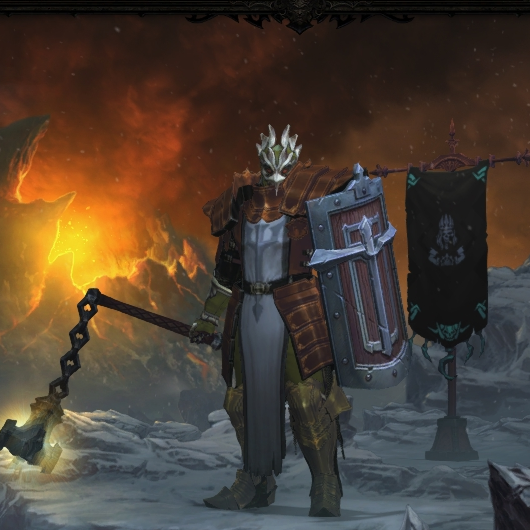 I’ve just reached Act 5 and unlocked the transmogrifyer. This’ll be awesome when I decide what I want to look like. At the moment she looks a bit derpy with the hat she has on, but never mind. Act 5 is more of the same, I enjoyed the Vestibule of Light as it was so pretty, but I’m currently in the dark underbelly of somewhere so that’s not as fun. I’m looking forward to reaching max level and this Adventure Mode I’ve been hearing so much about. We have a Minecraft post for you next, stay tuned!